Patrik Wheater reports from this week’s Shipping and Offshore CSR Forum in London. Some interesting sessions at this week’s Shipping and Offshore CSR Forum in London presented the shipping industry with a technological conundrum or two. While most delegates attending the Capital Link conference agreed that ships have to offer broadband internet if the industry is going to attract a new generation of seafarers, ship-wide wifi capability is still a major challenge for shipowners – and not, as you might think, because of the costs involved. 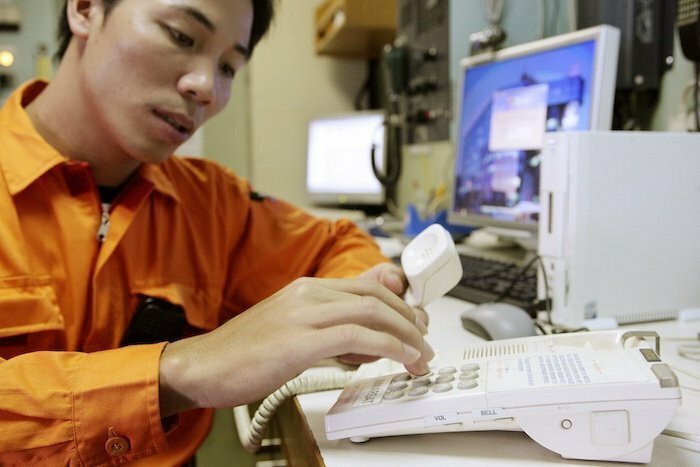 What concerned a number of delegates was the potential for ship-wide internet use to create an insular environment in which seafarers retreat to their own cabins rather than build relationships with shipmates to establish a more close-knit working community. This was considered a vitally important element to creating an operationally successful, safe and happy working environment. Although the jury is out on whether shipboard internet is a good thing and actually helps increase staff retention rates, Columbia Shipmanagement’s crewing director Norman Schmiedl said although its vessels do have internet capacity, it is limited to mess decks and public areas and not available in individual cabins. Questions from the floor raised another point: the management of risks associated with unrestricted internet use. There is of course the increased potential for a cyber-attack, but it is the disclosure of confidential or sensitive company information that could be preventing the greater take-up of shipboard wifi. The potential risk here was alluded to during an earlier session on regulatory compliance, in which Dee Taylor, a partner at law firm Liskow and Lewis, highlighted an increasing trend in the US to prosecute both individuals and companies for flouting pollution laws. In answer to a question from one shipowner asking if the shipping industry is being targeted by the US, Taylor revealed that the current legal framework allows whistleblowers to claim half the fine imposed on a guilty company. In a session on human resources, Tidewater Corporate Services’ Mark Handin delivered a rousing presentation emphasising the importance of “education, education, education” and a need to “inspire the next generation” of seafarers, but warned of the emergence of a reliance on technology that could result in crews losing knowledge of the vessel. Over decades of sailing from the 70’s and well into the new millennium I can truthfully say the transition of crew social factors has been stark. In the early years crews were much more gregarious and with the advent of internet services, crews retreated to their cabins and resided in a virtual world. This brings up two issues. One is unassailable and the other being a challenge. (a) crews are less social as they take harbor in their rooms and disappear intellectually in a virtual world. (b) operational security and corporate containment of information goes out the porthole as internet access becomes an open door that nullifies both. 2. The challenge is to management. I am not talking about throwing down the gauntlet, but a challenge based upon developing the “how to” techniques of shipboard leadership and education that would encourage mariners to become more interested in the reality of their ship and sequestering the virtual world on-board as an afterthought. This type of leadership and education is atypical in the essential portfolio of a professional mariner, is intuitive to some, and learned by others if encouraged to do so. The last thing any mariner needs is more training heaped upon a plate that is already overflowing, but taken as a cultural aspect of the company or organization, the concept of realizing the additive nature of internet, gaming, social sites, etc. etc., and getting the retreating mariner to understand the negatives of that addiction, may get a social scenario underway that benefits the ship, entices human interaction, and improves social and work related skills ultimately benefiting the company in a broad sense. Ed, you make some valid points and thank you for taking the time to comment. As a former engineering LH on naval ships the camaraderie and bond you established with your shipmates was exceptionally important and made for enjoyable sea-time. But I think in those days we tended to go to sea to live an alternative life and didn’t expect or perhaps want the same home comforts. As you rightly say, internet onboard is here to stay, and in addition to allowing seafarers to keep in touch with family etc it has a host of other benefits too, including the onboard education and training of seafarers. However, its use does need to be managed. In the good old days, we were educated on what machinery sounds, smells and tastes like when it’s operating properly and this is something you just can’t get from a quick Google search. Tastes? Rather oily, I’d imagine!